Melissa Foehner is a rock star babysitter—er, Tour Logistics Manager—with the patience of a saint. That is until her star and his slacker buddy go missing. Now nothing will stop her from getting the show back on the road…Not even a broad set of shoulders and a smart mouth. This is an 8k short story included in the LOL Anthology. 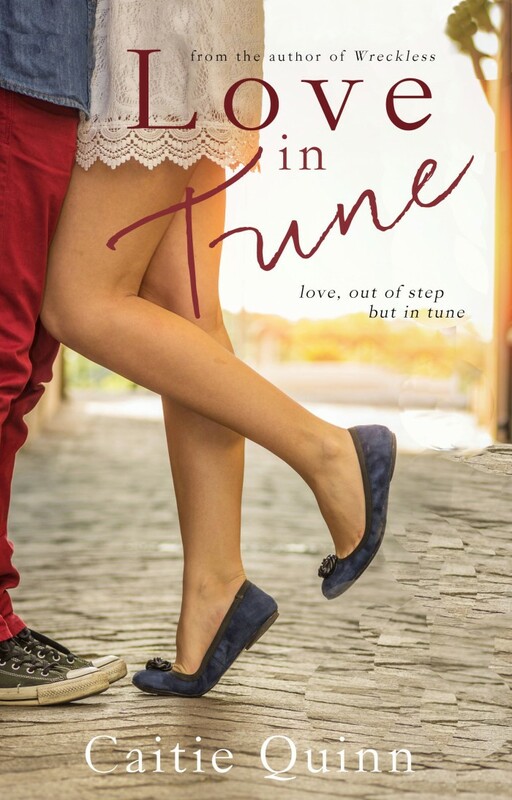 Love in Tune is a standalone story that takes place at The Brew Ha Ha. This was not my night. I’m not sure what night was my night, but this sure as anything wasn’t it. When I had signed on with Naked Prozac as their Tour Logistics Manager I imagined the glamorous life of living on the road. Have an adventure! Travel! See the country! Rock and roll, baby! Yeah. No, not so much. Somehow glamour and adventure turned into nightmare babysitting. Spoiler alert: Never take a job where the person you have to babysit is, bigger than you, crazier than free climber, and pays your salary. “Right.” I fought back a sigh. There had never been a moment I’d been drawn to His Majesty—I mean, Dalton. To my daily mortification there was a body of hotness with a stronger gravitational pull than his. “Because I’ve been throwing myself at him since I came on board.” I hit the call end button. I was usually a sweet, patient girl. My last boyfriend broke up with me because I was too nice. I’m pretty sure after the day I’ve had, that wouldn’t be a problem. My last nerve was fried and my body was dive bombing off the caffeine and post-show adrenaline buzz. Between Lenny and His Majesty, I’d been dealing with so much testosterone it wasn’t even funny. I wove through the backlot chaos to the lead bus hoping against hope that my lost lamb had taken a six-pack and a groupie and gone looking for some privacy. But, when I pounded on the door, the driver-slash-bodyguard-slash-runner opened it right away. The look on my face probably said, Have you lost your ever-loving mind? Because, let’s just get this straight, the most high maintenance rock star on the planet, the one who never went anywhere without someone to wait on him, just took off in the middle of the night with a guitar, no one to pay for anything because God forbid the man might know how to carry his own credit card, and he got in of all things… A Toyota? Buck was smart enough to not answer that. I glanced down at my phone, scrolling through my Google alerts, twitter hashtags, and anything else that might tell me where he’d gone. The entire world was my Rock Star Tracking Device…but tonight was oddly quiet. I turned to study the street. I had no idea how a car could have gotten through security without a pass. Which meant he was either musician-napped by pros or he’d arranged this ahead of time. “What?” I spun back to Buck, hoping to hear some good news. Or join the conversation on Goodreads HERE.